I wanted to include a craft during Halloween week here on Sew You Think You Can Cook. I couldn’t find any sewing mummy crafts that weren’t a pillowcase and since I did one during Candy Corn week I continued my search. Next thought was to make a wreath. Unfortunately I didn’t make one before heading to Alabama a couple of weeks ago so that idea had to be scrapped. 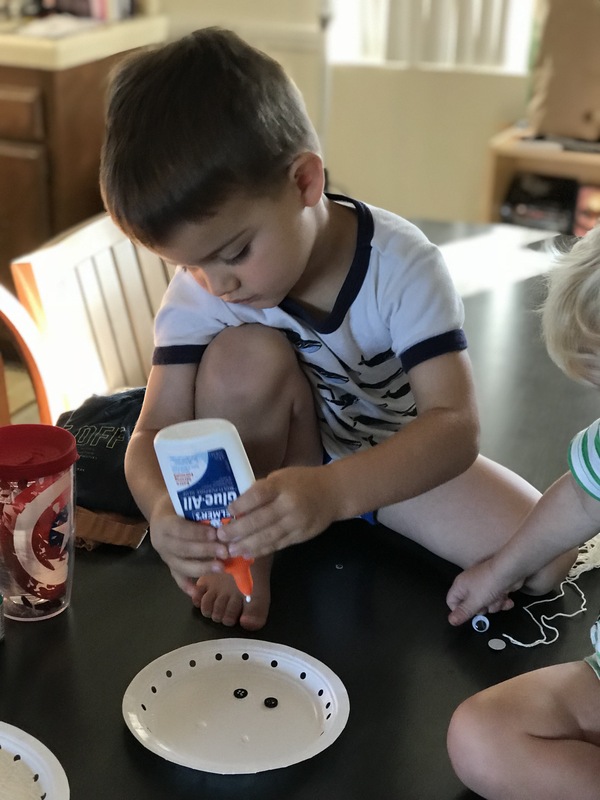 Firecracker loves making crafts, it’s probably his favorite thing about homeschooling. 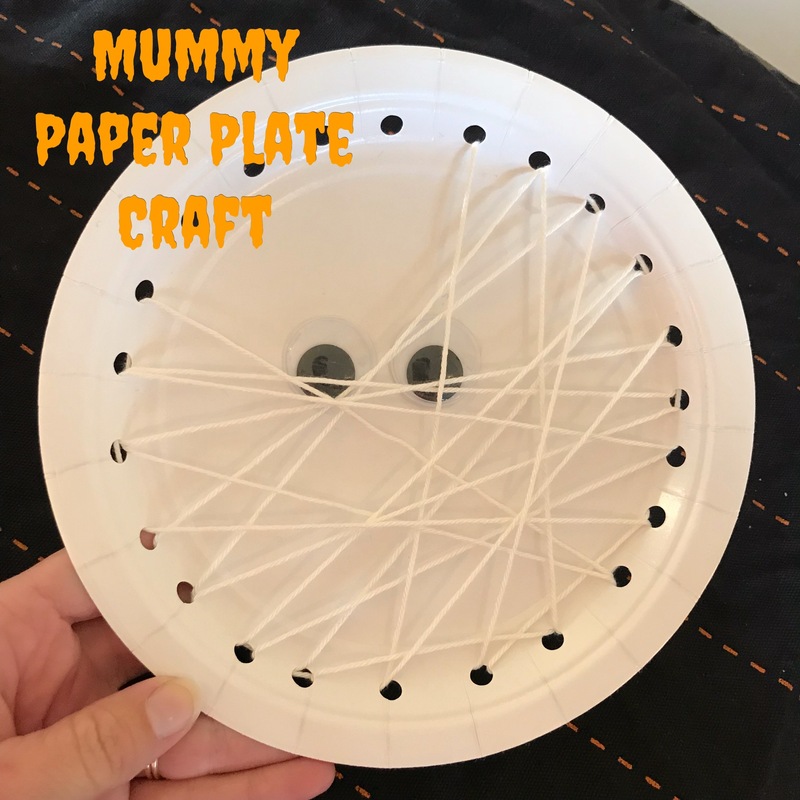 I found a cute and simple mummy paper plate craft on handy dandy Pinterest and knew I could manage that with everything we already had on hand. Mission accomplished last minute! I made one the night before to have an example for the boys. 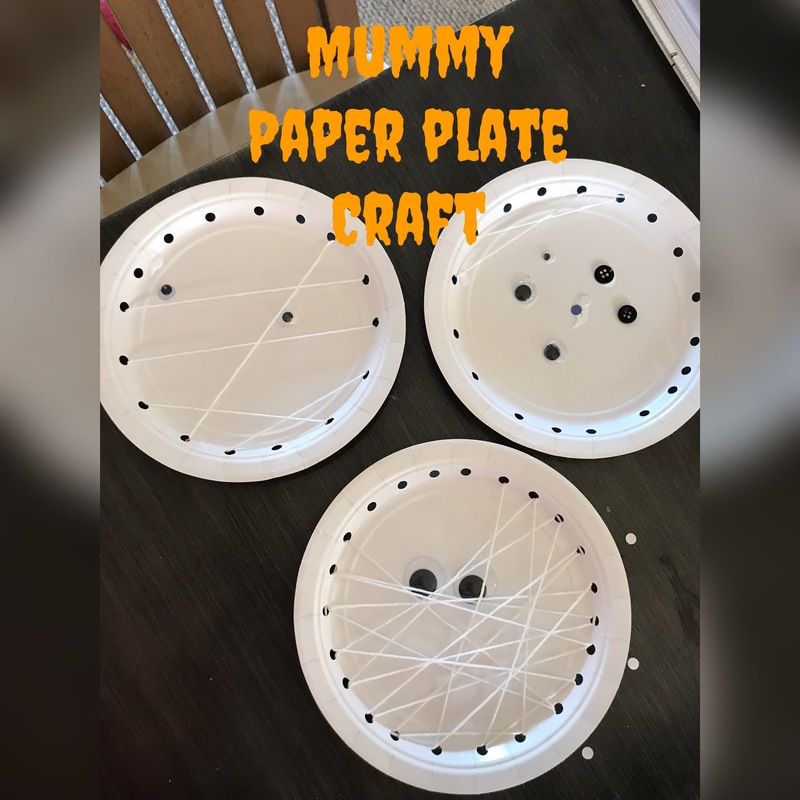 This craft is great for fine motor skill development and if strong enough, they can use the hole punch to punch a ring of holes around the plate. Firecracker just liked gluing eyes onto his mummy face and threaded the string over the face just twice. I was surprised at how much more Treat did than his older brother! 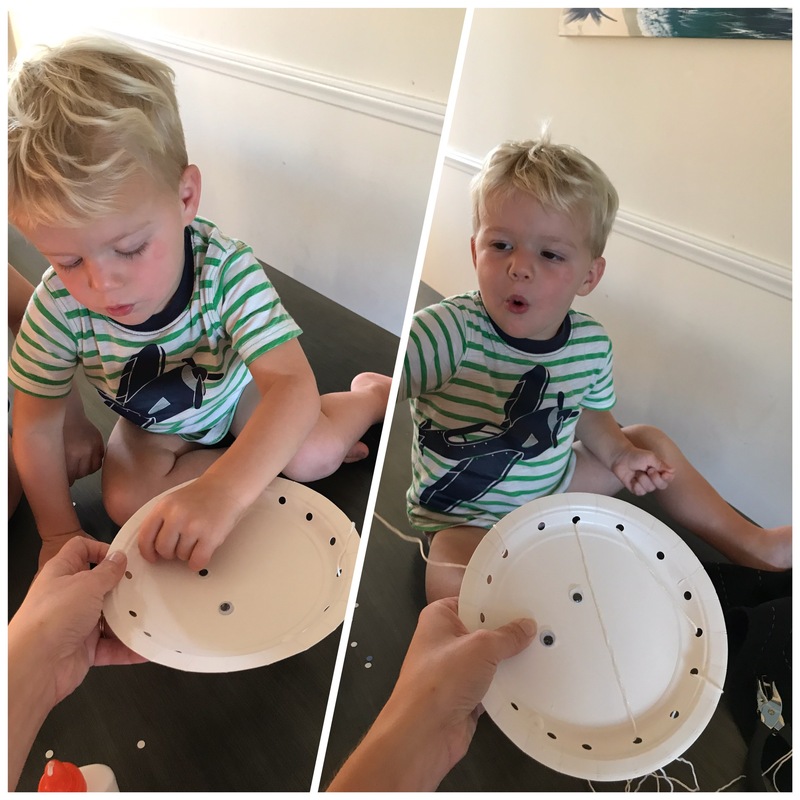 He did a great job inserting the string into holes and loved pulling the string all the way through. Punch holes around the edge of the plate. Glue or draw on the eyes. Let dry. String the yarn through the holes, going across the face in a haphazard manner. Tie ends of the string behind the plate and tape down if desired. Great job Treat! The kids would love this one.